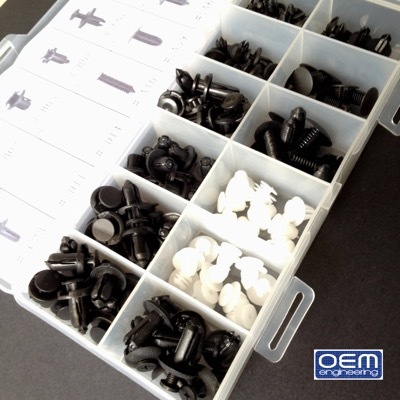 New version from OEM Engineering, 120 pc. 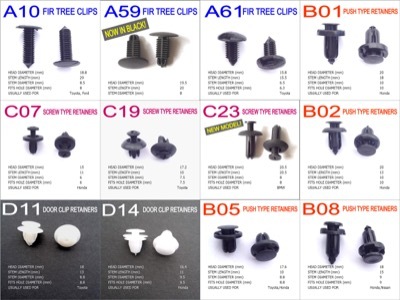 replacement assorted car clips. If you've been a car customizer long enough, you've probably broken or misplaced a few car clips in your lifetime, regardless of how careful you are. It's the law!...of averages and Murphy, that is. 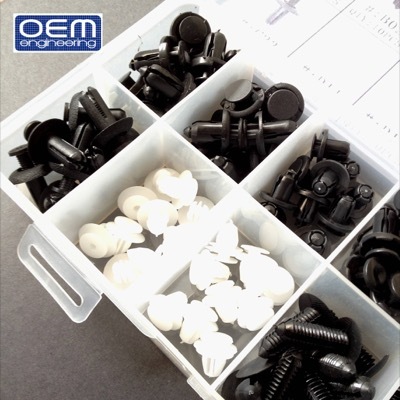 Now you can have a handy stock of the commonly used clips most often damaged or lost in the process of customizing your ride. 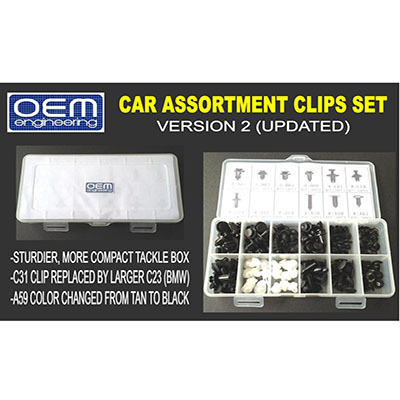 Perfect for car accessories shops, car interior shops, car audio shops, paint and customization shops, as well as avid DIYers that can't stand having missing clips in their cars. *We can not always know if it will fit your particular car, or particular car panel, so please do not ask, just kindly measure. *Please check images for clip dimensions and fitment. Most of these clips fit other makes and models of vehicles not specified, so please measure. 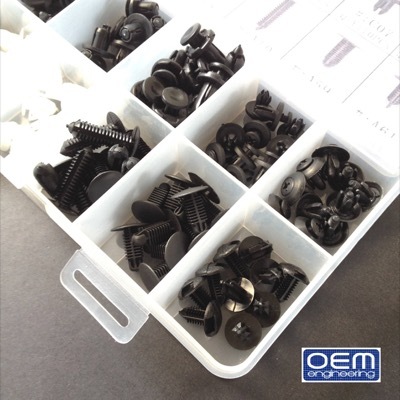 *These are cost-effective replacement clips, not original. *Sold as a set only. 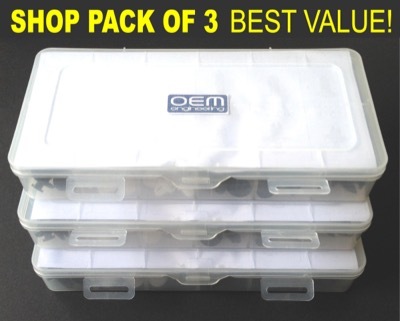 *12 segment tackle box is included in the price. Price: PhP1,000/ set of 120 assorted pcs.